Hi, Joyce with you today showing an Autumn thank you card. I simply colored with some shimmery metallic paints. I used the gold set from Gansi Kuretake. This is what the diecut looks like. 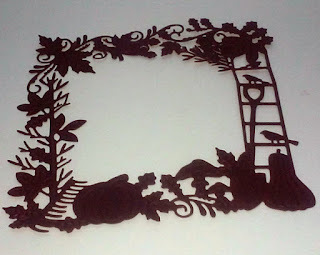 I cut then embossed. You can't see the embossing in the photo. 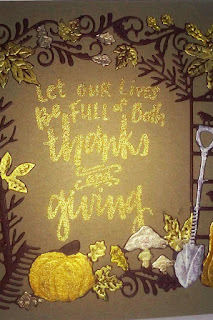 All I did was paint with all the shades of gold metallic Gansai Kuretake paints I had. I wet the paint a little, not to runny. This is regular cardstock but it is heavy 80# from Gina K. It holds up fine if not too wet. The sentiment was heat embossed with gold. 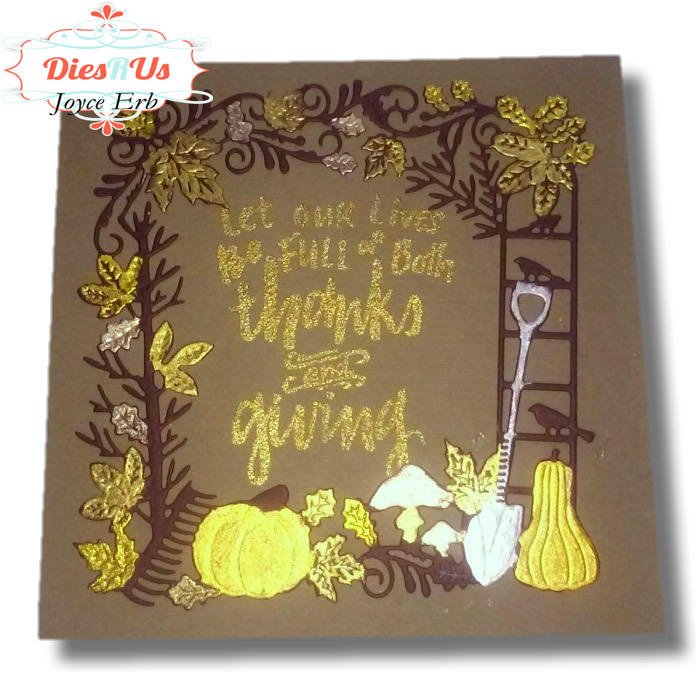 Love this golden fall card! Love the gold accents - perfect for Fall. Love the fall colors !! !